A year ago, conservatives and nationalists came to power in Austria, who spoke both before and after the elections about the normalization of relations with Russia and even the lifting of EU sanctions. First of all, this concerns the Austrian Free Party (FPÖ), which is represented by Foreign Minister Karin Kneissl. In the summer, she invited Vladimir Putin as her guest of honor to her wedding and even danced with him, leaving the groom without attention. However, the head of the government, Sebastian Kurtz, also spoke kindly about Russia, and for the half-year of the chancellorship he had already been to the Kremlin twice. Austria is one of the few EU countries that refused to send Russian diplomats due to “Skripal case”. But today a black cat ran between Moscow and Vienna. In Salzburg, Austria, a criminal charge was filed against a 70-year-old retired colonel on a tip from German intelligence. Over the course of 30 years, he allegedly transmitted to Moscow secret information about the migration crisis, military aviation and artillery systems, and earned 300 thousand euros from this. Austrian Foreign Minister Karin Kneissl canceled a visit to Russia. Kurtz called Russia's actions “unacceptable” and hinted at a deterioration in relations. 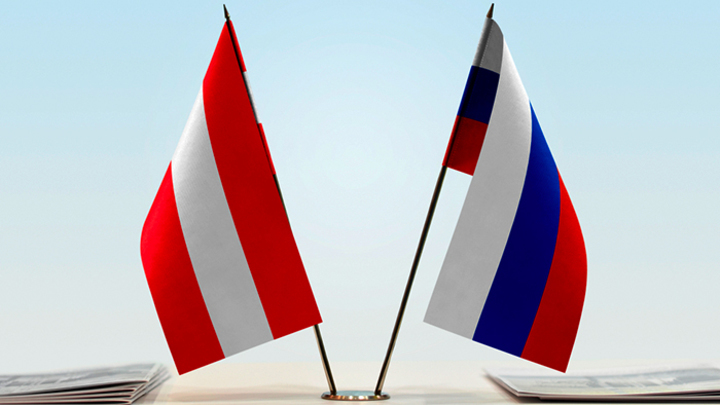 The Austrian opposition from the Green Party and Die Liste Pilz put the responsibility on the ruling FPÖ party, calling it good relations with Russia “a threat to Austria’s security,” reports the Austrian newspaper Kleinzeitung. Opposition leaders from Die Neos also blamed the government’s party for a break in FPÖ’s relationship with United Russia. Austrian historian and expert on special services Siegfried Beer in an interview with radio Ö1 was surprised that “the Austrian government makes such a big problem out of a spy scandal.” In his opinion, espionage is a “generally accepted phenomenon.” He considers the story of the “Russian spy” to be an exaggeration, he has the impression that the Austrian politicians really don’t know anything about this matter. The historian does not expect serious consequences for bilateral relations, although Kurtz said at the briefing that the incident "will worsen relations between Russia and the EU." In support of the findings of Beer, we can recall how in June Austria itself accused Germany, which transmitted information about the “Russian spies” to the Austrians. But this did not cause a big scandal between the two EU member states. Maybe Berlin is trying to translate the arrows on Moscow? If we look at the question not in a regional, but in a global context, the following circumstances accompany the “identification” of Russian spies in Salzburg. Austria chairs the Council of the European Union, which in December will meet to discuss anti-Russian sanctions. Vienna needs an alibi to extend them. As chairman of the summit, Kurtz cannot afford to appear pro-Russian. The Americans were also pushing the Austrians to toughen their tone towards Moscow. A few days ago, State Department spokesman David Tessler visited Vienna, convincing the EU member states not only to extend, but also to expand sanctions against Russia as a response to the attempt of poisoning Sergej Skripal, cyber attacks and espionage. The next stop of Tessler is Italy, where "friends of Moscow" are also in power. Who knows, maybe tomorrow they will find a Russian spy in Rome too.